The Illinois Supreme Court today filled four vacancies on the Circuit Court of Cook County, two countywide vacancies, and one each in the 2nd and 14th Subcircuits. These vacancies were announced in September by Supreme Court Justice Mary Jane Theis. Each of the appointments made today will terminate on December 7, 2020. The Supreme Court appointed Lynn Weaver-Boyle to the countywide Patti vacancy (press release). 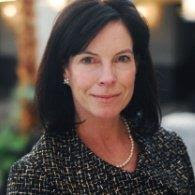 Weaver-Boyle, currently a partner in the Chicago office of a partner in the Chicago office of Grotefeld Hoffmann Schleiter Gordon & Ochoa, LLP, was on the associate judge 'short list' earlier this year. Licensed as an attorney in 1990, Weaver-Boyle served as an Assistant State's Attorney for nine years. Her appointment is effective January 11, 2019. The Supreme Court appointed Assistant Corporation Counsel Kerrie Maloney Laytin to the countywide Bellows vacancy (press release). Currently serving as Senior Counsel in the Appeals Division of the City of Chicago Law Department, Maloney Laytin is a 1997 graduate of Columbia Law School. She began her legal career as a clerk for Judge Robert P. Patterson, Jr. of the U.S. District Court for the Southern District of New York, later clerking for the Hon. Carolyn Dineen King, Chief Judge of the 5th Circuit Court of Appeals. Licensed in Illinois since 2000, Maloney Laytin also serves on the Board of Directors for High Jump, a two-year tuition-free academic enrichment program that serves motivated 7th and 8th grade students from families of limited economic means. Her appointment is effective January 18. Will County Assistant State's Attorney Sondra Nicole Denmark was appointed to the 2nd Subcircuit vacancy created by the retirement of Judge Alexander P. White. Denmark has been licensed in Illinois since 2004. She was a Cook County Assistant State's Attorney for three years; she has served in Will County for the last 10 years. She has also worked as a solo practitioner, according to the Supreme Court's press release. Denmark was a candidate for a 15th Subcircuit vacancy in the 2014 primary. Her appointment is effective December 27. 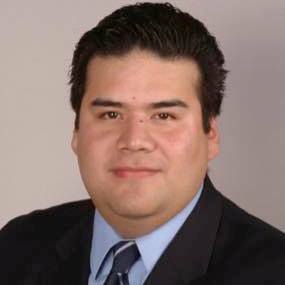 The Supreme Court also appointed Cook County Assistant State's Attorney Gerardo Tristan, Jr. to the Bertucci vacancy in the 14th Subcircuit (press release). Tristan has been licensed in Illinois since 2004, according to ARDC. The Court's press release notes that Tristan has served on the Board of Directors of the Hispanic Lawyers Association of Illinois and as Regional President of the National Hispanic Prosecutors Association. His appointment is effective January 11, 2019. AFTER CHUY CALLED BURKE AND MADIGAN'S BLUFF AND GOT BEATRIZ FRAUSTO-SANDOVAL ELECTED THERE WILL NEVER BE ANOTHER WHITE APPOINTED IN THE 14TH. THE WRITING IS ON THE WALL SO ALL APPOINTMENTS IN THE 14TH WILL BE POLITICALLY-CONNECTED LATINOS FROM NOW ON. Jack flushed my prior comment so I will try and be more PC with this one. Im a former prosecutor and current defense attorney. Justice Theis got 3 our of 4 correct on this. A certain newly appointed judge will have a very hard time keeping that robe and staying out of Judge Evans's dog house if his promptness, work ethic and legal knowledge dont improve. Doesn't matter if you are prompt, diligent and earnest: it's all about the ballot name. Theis knows that. Or at least I thought she did until she appointed yet another ballot-named-challenged black man to a countywide vacancy in a presidential election cycle. I used to think Theis was a "progressive." Now we know that she just likes to make these appointments to look good for the Tribune so that she can brag to them when she is up for reappointment. Good luck, Derico. Those Irish chicks are coming and they are coming for you. Just ask Oran Whiting and Devlin Schoop. Keep the names of Ghosts of Judges Past out your mouth or make it a point to not walk alone south of 63rd Street. And good luck, Derico. Who am I? A ghost of judges past. Silly, silly all CAPS... Meet the white male appointed in the 14th...Daniel Tiernan.